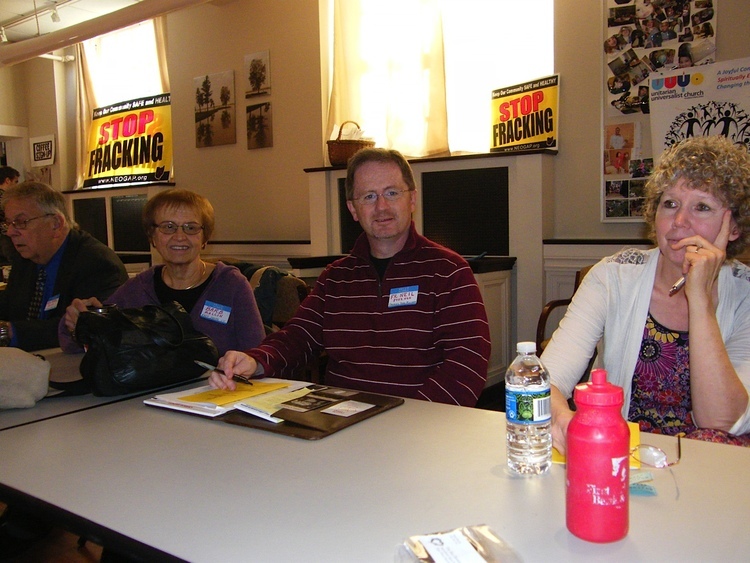 In 2011, anti-fracking activists (aka fracktivists) had a meeting of N.E. Ohio folks in Canton. At one point during the meeting, Rev. 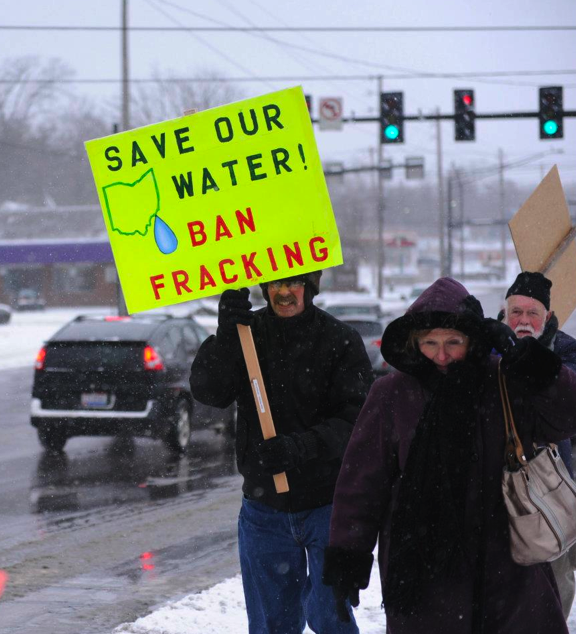 Jim Deming rose to speak and talked of raising the issue of fracking in his denomination – the United Church of Christ, which has it headquarters in Cleveland. 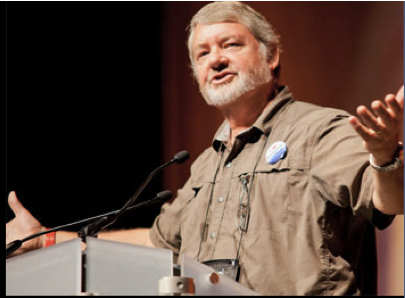 At the time, Jim was the Environmental Justice Minister for the UCC denomination. I knew Ted Voneida of the Kent Unitarian Universalist Church was at this Canton meeting, and so I sought him out during a break and talked to him about raising this issue among folks in our denomination, Unitarian Universalist (UU). Then Ted and I got together with Rev. Deming and planned an initial meeting for folks interested in approaching fracking from a moral point of view, inspired by each of our respective faith traditions. Ted and I rounded up UUs from N.E. Ohio involving five UU churches, and Jim got folks from three UCC churches. Rev. Joan Van Becelaere, Executive Director of the Unitarian Universalist Ohio Meadville District, also attended our formation meeting in June of 2011 at East Shore Unitarian Universalist Church, my church home. We had more than 50 participants at the first meeting. The meeting room got so crowded we had to move the meeting to the sanctuary. From that initial meeting involving eight church congregations, we have grown to include participants from 45 faith communities, from 16 Ohio counties plus three in West Virginia. We now include Catholics, Protestants, and Jews, with a variety of faith traditions within these main groupings. We welcome people of ALL faith traditions to join us, and we also welcome persons not affiliated with any faith tradition or faith community. FaCT has two affiliate organizations, FaCT-OV (FaCT of the Ohio Valley) andFaCT-Athens (Catholic Peace and Social Justice Committee of Athens Ohio). 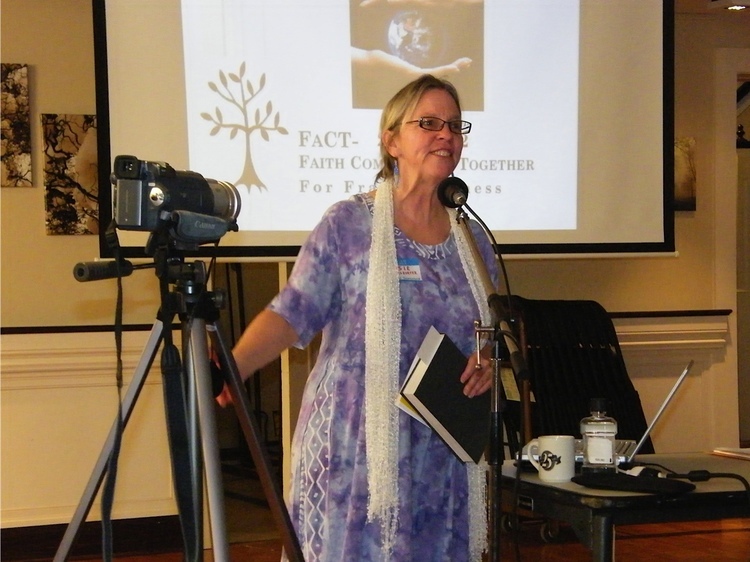 West Shore Unitarian Universalist Church has a FaCT chapter, FaCT-West Shore. 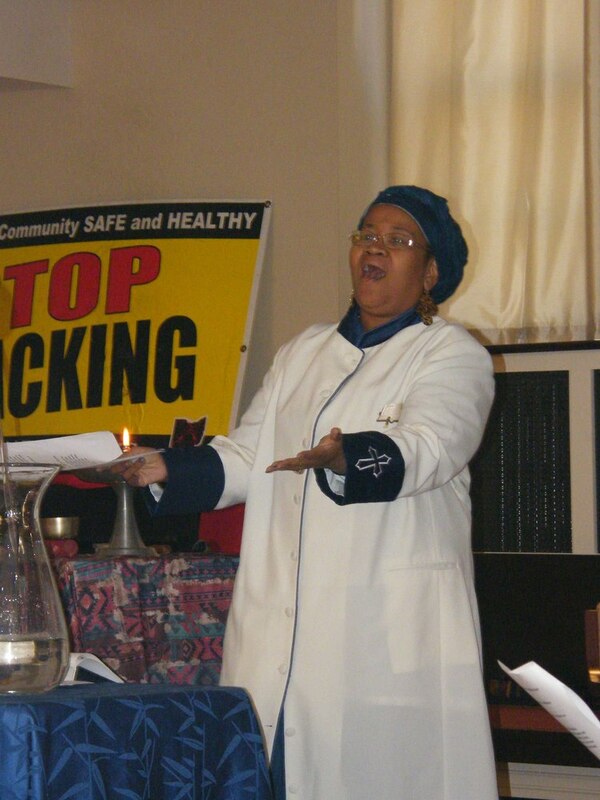 Most other faith communities are working with FaCT through their respective green committees or as individuals.